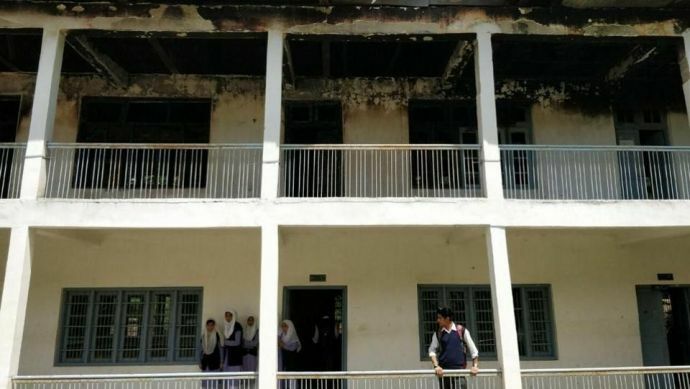 To Pursue Their Education, These Young Kashmiris Are Attending The Classes In Half-Burnt School Buildings! If you know the walls are pitch black with ashes scattered over the place, would you still go to such a place? A lot many times, when we were young we had come up with brilliant tricks to skip the school. We never realized the value of education then, but now looking at the kids of today’s generation we see a hint of progressive attitude in them. Carrying forward this attitude, these Kashmiri kids have been regularly going to their school which is half-burnt. The ashes are lying on the floor and broken wooden furniture strewn all over. The walls are smeared black with soot and the part of the roof is still missing. 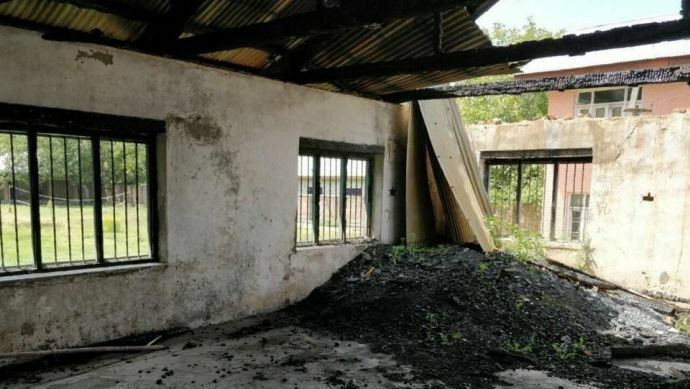 This devastated condition of the school is the impact of last year’s unfortunate catastrophe where at least 37 schools were set on fire. The hideous event killed almost 100 people leaving many children blind due to the pellets fired by security forces. 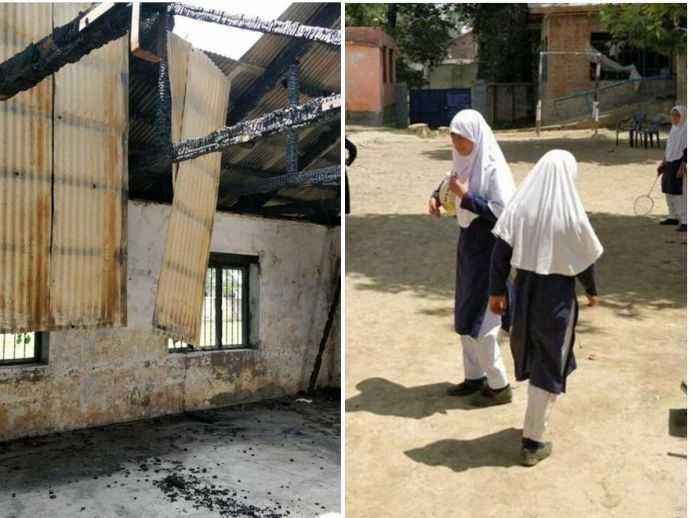 Now, these unfortunate-yet-deliberately-done turn of events sabotaged schools and other government buildings in Kashmir. Amongst the other districts, Kulgam in South Kashmir was the worst affected one. In an effort to put things back together, an estimated loss of education infrastructure calculated by the Government is to be Rs 10 crore. 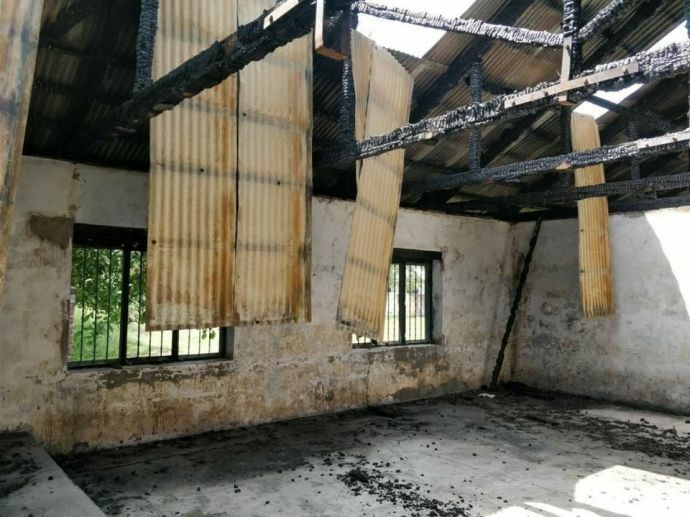 Students whose schools were damaged are being imparted classes from rented buildings. We have earmarked funds for reconstruction and work will start soon. In a statement from an official source said that the government is deliberately delaying the reconstruction, as it would not have made the people feel the sting of the loss. This is an institution that doesn’t belong to any government or any particular person...Our future belongs to it. We have a political problem and we wanted them to realize the pinch...The school authorities and residents need to guarantee that they will safeguard it. 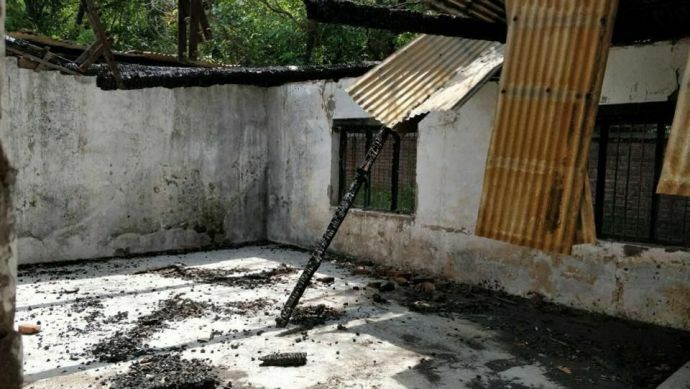 In August, the Jammu and Kashmir High Court asked the government to complete the process of providing funds for reconstruction and repairing within a month. But sadly, the year has gone by and the buildings are still not repaired.